Approved by the Carpet and Rug Institute that remove soil, dust, bacteria and other microbial particles from indoor air environments and dispose of them outside your facility. Micro-Fiber Towels are used to to prevent cross contamination using our clean by color ™ systems. 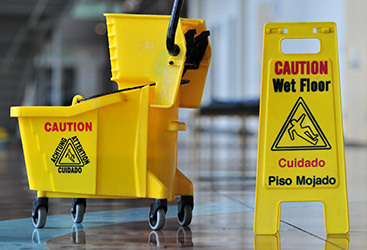 Our flat mop system allows us to disinfect all surfaces including floors and walls very quickly which increases productivity. Enviroclean USA installs customized dispensing systems in every facility we service in order to dispense chemicals correctly and maximize chemical performance. 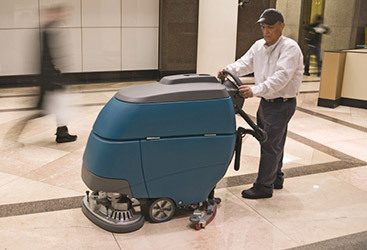 This enhances the life of hard floors surfaces and creates the best appearance. Our dispensing systems, coupled with our signature clean-by-color system, insure all surfaces are cleaned properly without any cross contamination. Whether you are looking to achieve LEED certification for your facility or just trying to implement some sustainable features. We take every measure to conserve resources, use safer products and equipment in our processes. The safest rating in the industry! Enviroclean takes every measure to decrease its carbon footprint passing those benefits to its customers. ©2019 Enviroclean - Do not copy.